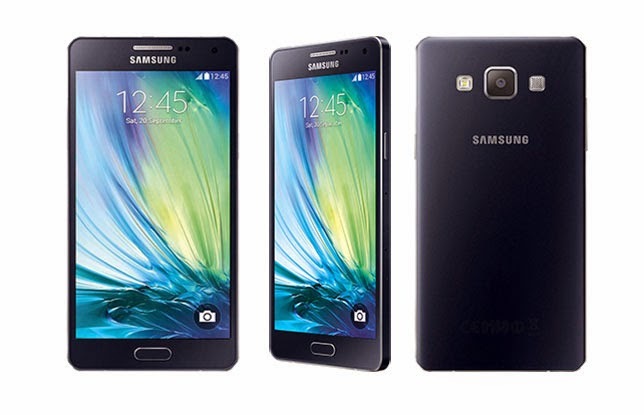 Galaxy A5 is second A series phone from Samsung After A3. For the mid range premium phones Samsung use to "A" Series. Handset comes up with 5.0 inches Super AMOLED screen, v4.4.4 (KitKat) OS, 13 MP primary camera with Sony Exmor RS IMX135 sensor, 2GB RAM, 16 GB internal memory where memory can be expended up to 64 GB with help of SD card and 2300 mAh Battery. It has metal-framed compact design with 6.7mm thin body crafted around the edge. The back cover isn't removable. Lets come to the camera which is 13 Megapixel able to capture decent quality picture with good detail, the phone focuses well even in low light, 5 MP front cam also has decent selfie photography. The Qualcomm MSM8916 Snapdragon 410 processor with this phone seems somehow older but 2 GB RAM with this makes a decent combination for lag free smooth user experience. The screen is Super AMOLED protected with Corning Gorilla Glass 4 is obviously better than the IPS Display produces sharp images while it has 294 ppi display density. The 2300 mAh battery is not able to give huge battery backup which can run roughly for 15 – 25 hours depending on the use. Metallic body frame with compact body design. NFC is supported in phone. Touch-wiz is smooth especially after an OTA update. This phone does not has LED indicator for incoming messages and charging. Just press the home button and power button simultaneously. The most attractive features of this phone are 13 MP Cam, Metallic body with slim design and its vibrant Display. The phone looks premium from all angles and so you feel it good in hands but i will not suggest this phone to those people who wants a huge battery backup, apart from that there is no problem in buying this phone.